Congratulations to Carolyn “Carly” Hubbard, recipient of a scholarship from the American Veterinary Medical Foundation. A student leader, Carly currently serves as t he SCAVMA president-elect and the SVECCS vice-president, volunteers with a local service dog organization, and is active in multiple on-campus clubs. 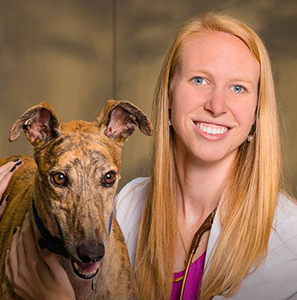 The second-year student from Louisville, Ky. plans to build her career in companion animal medicine because of her passion for the benefits of the human-animal bond, with regard to mental, emotional, and physical health.